Marks & Spencer is rising to meet the skyrocketing consumer demand for animal- and eco-friendly vegan food and fashion, and has launched a new Vegan logo to make the products easy to identify. 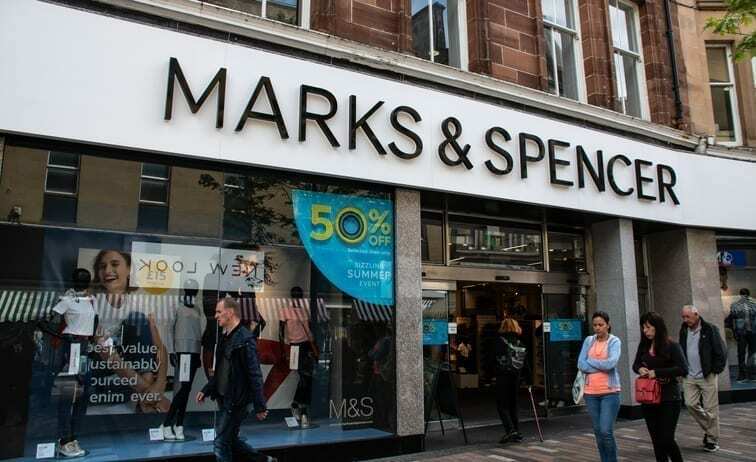 In recognition of its achievements in these areas, M&S has received a Vegan-Friendly High-Street Retailer Award from PETA. The first-of-its-kind award follows the kick-off of M&S’s expanded animal-free footwear collection, which includes more than 350 all-vegan shoes, trainers and slippers. M&S has also launched a new Plant Kitchen range, which features a selection of more than 50 vegan products, including No Beef Burgers, Cauliflower Popcorn Bites and the high street’s first vegan coleslaw. All these products carry M&S’s eye-catching Vegan logo, which makes vegan food and fashion items identifiable at a glance. Other recent initiatives from M&S include its introduction of an extensive range of non-dairy milks and its popular cashmilon™ wool-free knitwear range. PETA – whose motto reads, in part, that ‘animals are not ours to eat or wear’ – notes that turning animal skin into garments and accessories requires massive amounts of energy and dangerous chemicals, which are harmful to the planet. The Pulse of the Fashion Industry report revealed that three of the four most environmentally damaging materials are animal-derived. Leather was identified as the most polluting material in fashion, with double the impact of polyurethane (PU) leather. Vegan meals are also greener – the United Nations has said that a global switch to vegan eating is necessary to offset the worst effects of climate change. Each person who goes vegan spares nearly 200 animals every year in today’s meat, egg and dairy industries – and reduces his or her own risk of suffering from heart disease, strokes, diabetes, obesity, and cancer. Click here for more about the M&S trial of plastic-free produce.